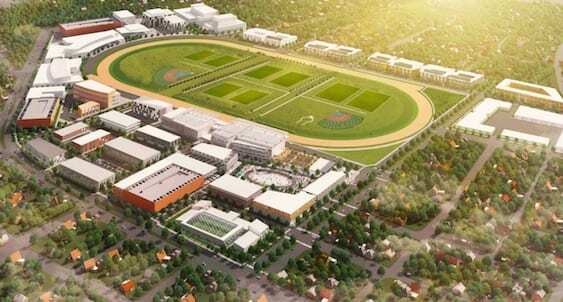 After one study put a $424 million pricetag on renovating Pimlico Race Course, a proposed bill in Maryland would create another research project to decide who should pay the bill. Senate Bill 800 would create a workgroup to make recommendations to Maryland's General Assembly on financing by Dec. 1. The workgroup would be comprised of seven people – two appointed by Gov. Larry Hogan, two by the mayor, plus two Maryland Jockey Club representatives chosen by The Stronach Group. Tom Kelso, chairman of the Maryland Stadium Authority board, or another designee would serve as chair. This entry was posted in NL List, The Biz and tagged laurel park, Maryland racing, pimlico, preakness, The Stronach Group by Paulick Report Staff. Bookmark the permalink.